David has extensive experience in managing complex real estate transactions. He is well versed in regulatory and management issues related to ranching, food production and processing, timberland management, wetlands, and conservation easements. He is thoroughly familiar with current land use regulations applying to subdivision, site and road development, water rights, and agricultural development. As one of the early organic farmers in California, David played a pivotal role in the creation of the organic food movement. He was one of the first sustainable farming visionaries to introduce certified organic products to the California market in the early 1970s. He co-founded California Certified Organic Farmers, the first organic farming organization in the country to establish a formal certification process, and was a founding board member of the Organic Farming Research Foundation in 1992. In this role, he was actively involved in developing a grant-making program that eventually catalyzed many millions of dollars of public and private funding for organic agricultural research. 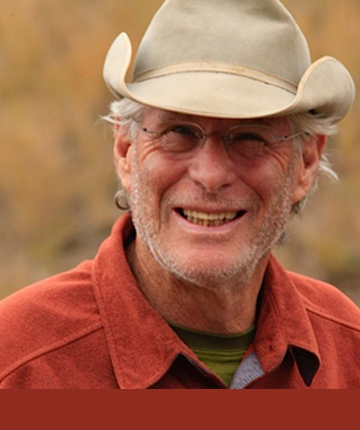 In the early 70’s David was a co-founder and the first Executive Director of the Farallones Institute; he later served as Executive Director of the Sonoma Land Trust, and has served as California Director of Trout Unlimited. Earlier he founded and served as the CEO of Ag Access Corporation, a leading provider of agricultural information services. He served (Governor’s appointment) as President of the California Reclamation Board, and testified to Congress on numerous occasions in that role. David’s consulting work has involved working on ecosystem-scale land conservation, business advising for forest and agricultural landowners, managing complex land transactions as well as organizational development and strategic planning for numerous organizations and families. David has long been active as an advisor, consultant, and active participant in many types of food and land related ventures. He is currently implementing and managing the largest redwood forest carbon sequestration projects in Sonoma County. He has been involved with numerous food and farming ventures where he guided development of production systems, advised on development of specialty crop products, and created market studies and plans. He is an accomplished pickle maker, and he likes to harvest as much of the protein for his family as he can from the forests and waters of northern California. He is currently the Managing Member of Cal Marsh and Farm Ventures, LLC, a firm that is implementing a large-scale rice farming and salmon habitat mitigation project in the Sacramento River Delta.